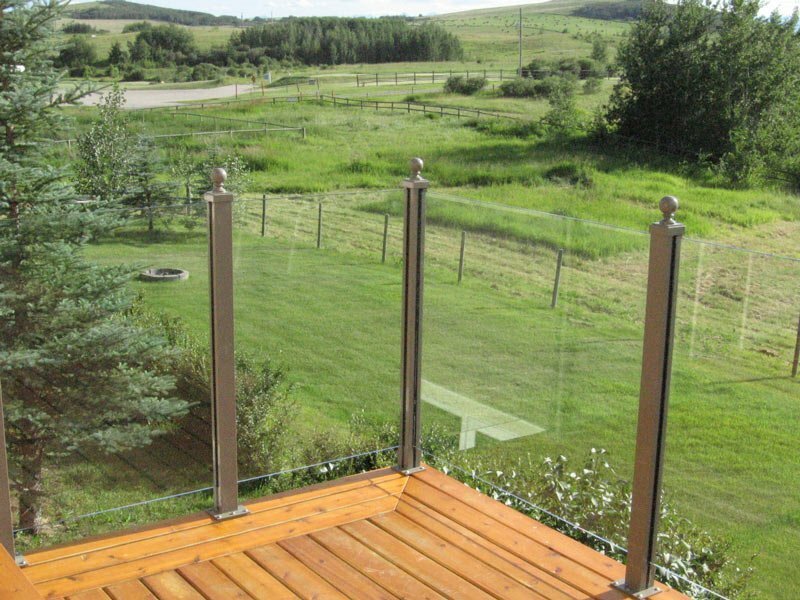 Calgary Custom Glass Railings | Mountain View Sun Decks Ltd. 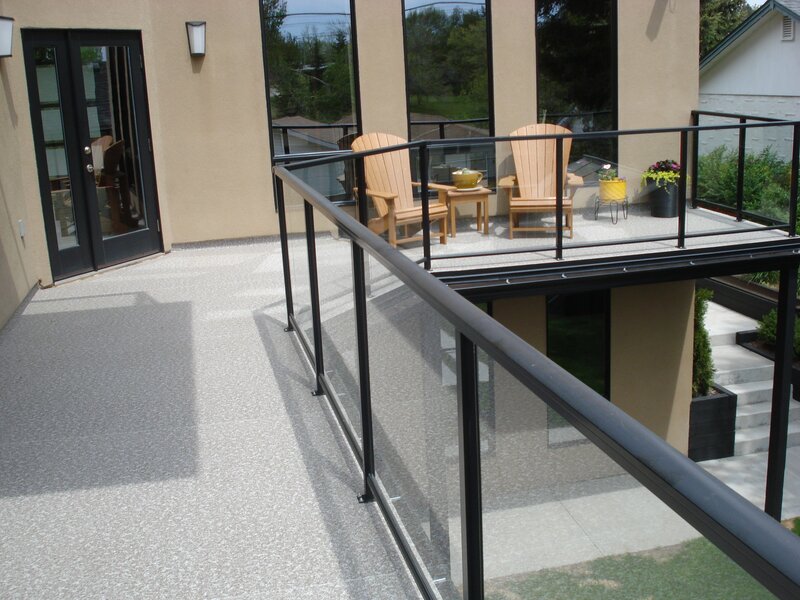 Custom glass railings have become increasingly more popular, and nowadays they have become one of the leading exterior railing systems for homeowners. Glass railings are popular for decorative railings, poolside safety railings and exterior deck railing. The reason for the increased popularity of glass railings is the move towards more modern design and architecture in metro and urban areas. One of the only downfalls of custom glass railings is the constant cleaning and upkeep the railings require, as the environmental elements such as rain frequently dirty the glass. Clear glass railing systems are frequently built using sections of sheet glass, with a base support that lies parallel that is made of either concrete or wood. 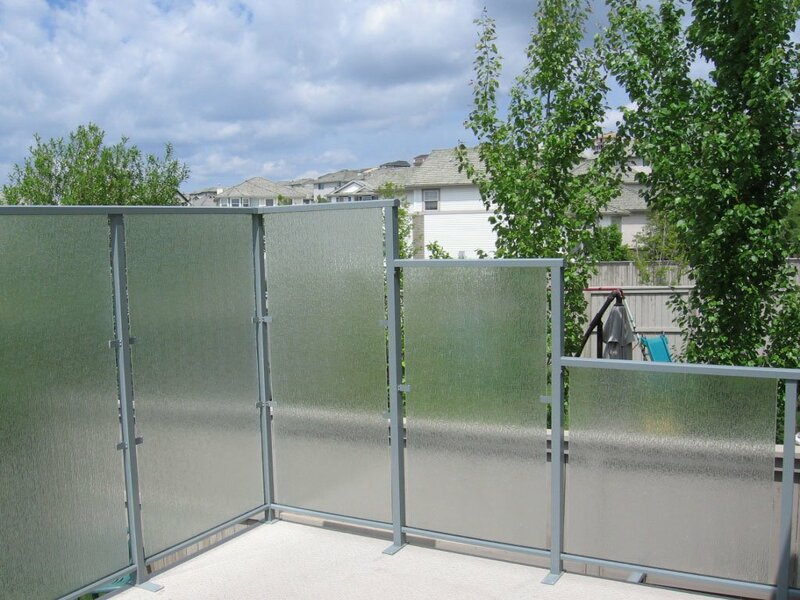 Glass railings are often constructed with vertical braces that bind the sheet glass panels from bottom to top, in some cases, the sheet glass panels are attached using stainless steel brackets that are so thin that they are nearly invisible. Since the panels of glass railings are made of glass, the system is susceptible to raindrop marks, splatters, bird droppings and other kinds of environmental hazards. If you are looking to remove grease, bird droppings, debris, watermarks or other outdoor hazards it is best to prepare some warm water and use dish soap. Once you have made the solution you can use a sponge and apply the solution on the surface of the glass railing panels. When the solution is applied you simply rinse off the railings using a hose or bucket. Leave the railings to dry off and once dry wipe off any remaining marks with a clean piece of dry cloth. If there is stubborn grime, white vinegar can also be used in cleaning glass railings. Using a nonabrasive plastic scrubber, apply the vinegar solution to the glass railing surface and rinse it off the solution using warm water, then leave to dry afterwards. To Keep the glass railings clean and in new condition, for as long as possible a homeowner can easily clean the glass panels using a shower squeegee. Using a squeegee helps lengthen the duration between needed cleanings. A homeowner can take advantage of the rains by wiping the glass railings with a cloth after each rainfall. Cleaning the glass surface of the railing with lemon oil also helps to prevent the formation of water spots. 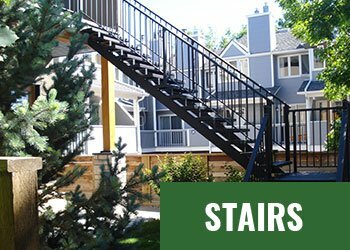 To keep the custom glass railing system at its best it is important to have regular examinations of the glass railings’ brackets and supports. Doing so will quickly spot loose brackets and areas of corrosion. If the glass railing system is attached using wood, it is vital to check on the footings to see if there is any damage caused by mold, termites or rotting. Regular inspections of the glass railing system and gentle shaking can let you know when to call a professional for repairs or installation. Even though upkeep is needed glass railings are one of the easiest deck and home railings to maintain and keep looking new for a long period of time. Using regular soap and water, and a squeegee, you can clean the glass panels quickly and efficiently. 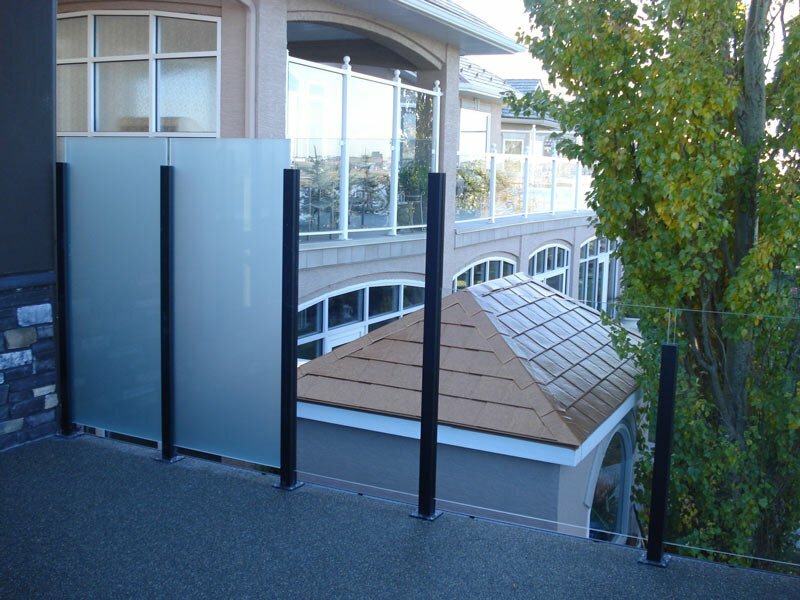 At Mountain View Sun Decks our glass railings are made of tempered glass so you can expect to enjoy unobstructed views for years to come on a custom decking solution designed for your home. 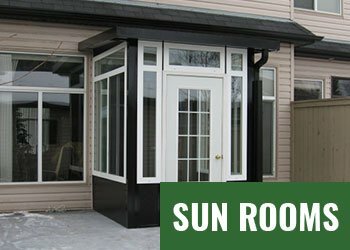 “We are very pleased with the work Mountain View Sun Decks did for us. They were on time, efficient and did an excellent job. 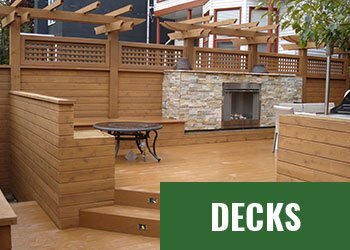 We highly recommend them for any deck/railing work!" "Our glass house in the sky" These fellows managed to build our sun room onto a second floor balcony straight up from the outside...The project was finished on time and on budget, despite all the wet weather. Bravo, Mountain View Sun Decks! Rebuilt the deck at the back of the house;because of cost we kept the same footprint as the previous deck;workmanship was excellent, the deck flooring is exceptional, almost like the extension of the inside flooring, loved the enclosed stairwell and the changes to the railing; very clean exit after job was complete, no delays in getting the work done;very pleased; in hindsight we should have spent the extra money for a tiered deck that we had in mind. Our experience with the company and its employees, for the most part, has been excellent. The deck was enlarged and updated with dura deck vinyl covering, aluminium powder coated rails and lightly tinted glass over ten years ago, and it still looks great. Additional upgraded railings, opaque glass and a gate were later added. From the initial meeting with the sales representative to the completion of the project, the costs were on budget and on time. The quality of workmanship performed and professionalism of their employees can be considered first rate. The best part of having a Mountain View Sun Deck is not having to do any maintenance, just sit back and enjoy. We had our old deck replaced. Complete removal and new installation. The work was performed during the winter and completed on time and budget to our complete satisfaction. They came and put down my deck in record time. Looks beautiful. It was a difficult job because of a previous contractor had failed. They turned things around and left us very happy. I hired Ewald and his team to replace a old wrought iron circular staircase off my desk with a traditional set of stairs in all aluminum. They were excellent to work with and I'd do business with them again anytime. Very professional, humble, creative, extremely detail orientated and excellent customer service from everyone. Price was fair and nothing negative to suggest about the product or service. Highly recommended! Great staff, great owner, great service....could not be happier with my custom deck they built for me in 2015 and the issues they caught and fixed during the build. A great company and team....I would highly recommend. No corners cut....just quality product and service. Rod C.
Mountain View Sundecks installed an exterior staircase from out upper deck to the ground on our house. We were very pleased with this install. They were very responsive, met our schedule and came in at the price they quoted. I highly recommend them.